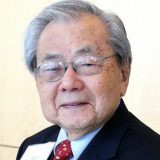 Dr. Sasahara served as Senior Physician, Cardiovascular Division, Department of Medicine, Brigham and Women’s Hospital, and Professor of Medicine, Emeritus, Harvard Medical School, Boston, Massachusetts. Dr. Sasahara is currently Co-Director of the Venous Thromboembolism Research Group at Brigham and Women’s Hospital. He obtained his M.D. from Case Western Reserve University School of Medicine and his Residency in Internal Medicine and Cardiology at Tufts, Harvard, and Yale University hospitals. He held the positions of Chief of Cardiology and Chief of Medicine at the Harvard-affiliated West Roxbury Veterans Affairs Medical Center for almost 30 years, as well as being Professor of Medicine at Harvard Medical School. In 1987, he began a 10 year leave of absence and joined Abbott Laboratories as the first Venture Head, Thrombolysis Research. In 1993, he became Senior Venture Head and in 1995, Senior Medical Consultant, Research and Development, Pharmaceutical Products Division. His major research interests are in the field of thrombolysis, hemostasis, and thrombosis. His publications include approximately 300 scientific papers and 6 books.